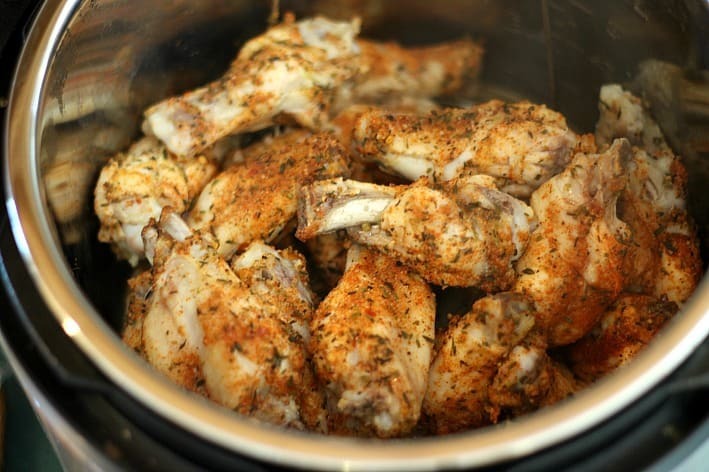 Since my Slow Cooker Barbecue Chicken Wings are consistently one of the most popular recipes on my site I figured the first Instant Pot recipe I should give you is Instant Pot Chicken Wings. This recipe will be excellent for time-savings, however the method has to produce BBQ wings as good (I’m thinking better even) as my slow cooker recipe. Dear friend, these Chicken Wings from your Instant Pot or pressure cooker just might become your go-to, last-minute appetizer recipe. Ten minutes cooking time, 30 minutes start to finish! I sampled a few recipes for IP BBQ wings and most just dump wings, sauce, and water in the pressure cooker and go. That works for “okay” wings, but stick with me and do just two extra super easy steps that I recommend and your wings are sure to be the hit of any get together. I sprinkle Cajun Spice Mix on the wings and cook before placing in the Instant Pot and save the sauce for when you’re broiling them in the oven. A nice combination is to use barbecue sauce, hot sauce (Frank’s Buffalo Wing Sauce is true Buffalo wing flavor), and melted butter. 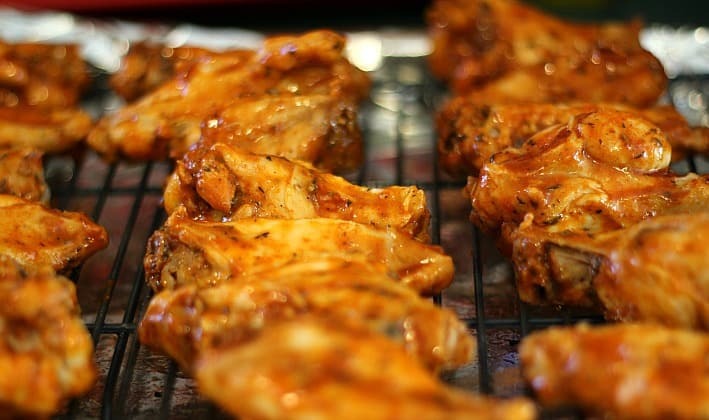 See printable recipe for sauce and butter combination options for Buffalo Wings vs. BBQ wings. A must-do task I recommend for every chicken wing recipe I make is take the time to trim a lot of the skin off the chicken. This makes a healthier meal and tasting the sauce on the meat is even better. Other than tossing some great seasoning on the wings and trimming the chicken, into the Instant Pot or pressure cooker they go with water. The wings should be on a trivet or steamer tray so the wings don’t sit in the water. For me, the Instant Pot took about ten minutes to reach pressure before it started counting down the 5 minute cooking time. After the cook time is up on the pressure cooker, let the pressure release naturally for 10 minutes. Placing the wings in a large bowl and then tossing with half the sauce gets a good coverage on them and is easier than brushing the sauce on each wing. Then arrange wings on a foil covered baking dish with a cooling rack on top. Broil until desired crispness is reached, 5 to 10 minutes on each side. After the wings are as crisp as you want them, place them back in the bowl and toss with the remaining sauce. The wings are just as moist and tender on the inside as if you cooked them low and slow for hours. But instead, you cooked them in minutes. 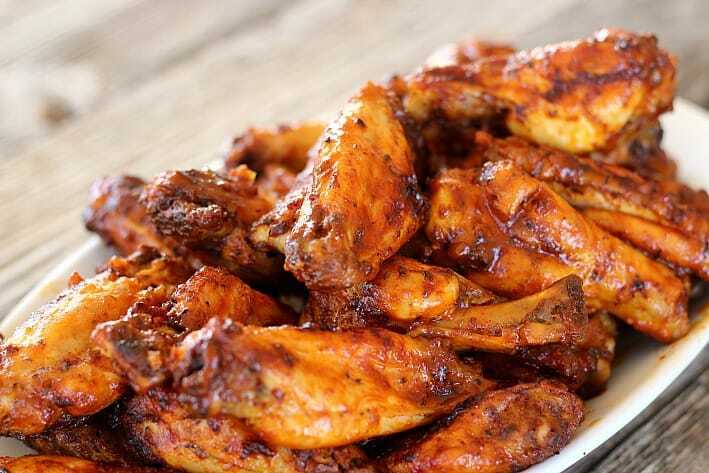 I highly recommend you keep a few pounds of chicken wings in the freezer, a bottle of your favority wing and BBQ sauce, and either Cajun Seasoning Mix or Blackened Seasoning on hand. Then the next time you have to bring an appetizer to a party and the thought of planning, shopping, chopping and hoping for “just the right thing” recipe sounds exhausting, or you find yourself with a house full of hungry teenagers, your husband, girlfriends, or drop-ins (bless them)… You can quickly whip these up with no fuss, little mess, and little $$. Oh and let me make one more quick, important, recommendation. Buy the best-quality, least processed chicken wings you can afford. Skip the big, frozen-since-who-knows-when bag in the deep freeze. You won’t be sorry and it really makes a difference in the freshness of this recipe. Fall off the bone tender, juicy Chicken Wings in about 30 minutes, barbecue or Buffalo style- you can use any seasoning combination you like. 1/4 cup favorite barbecue sauce, see note regarding ratio of BBQ to hot sauce. After the chicken wings have been trimmed and separated (if necessary), pat dry and place in a medium bowl. 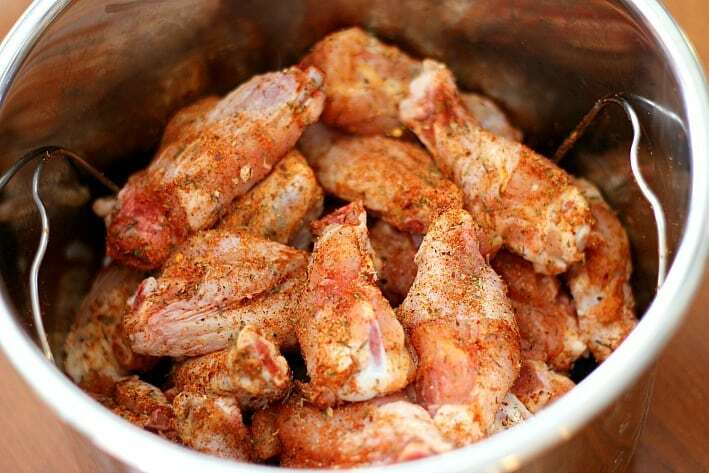 Sprinkle seasoned salt or garlic powder over wings and toss until covered. Place the seasoned wings in Instant Pot or other tabletop electric pressure cooker, on the trivet. For Instant Pot - Secure and lock the lid of the Instant Pot and turn the pressure to SEALING function. Select MANUAL operation and the pressure should automatically show as HIGH. Using the + or - button, select 5 minutes pressure cooking time. The Instant Pot will indicate as ON while the pressure is being built to the appropriate level, typically taking about 10 minutes for pressure to rise. Indicator will switch to 5 once ready and will count down from there. Meanwhile, set your oven on Broil HIGH and place the oven rack one above center position. Cover a baking sheet with aluminum foil and place a cooling rack on top of the foil-lined sheet. Spray the cooling rack with nonstick cooking spray. Set the sheet aside while the wings cook in pressure cooker. Once the wings have finished cooking in the pressure cooker, let pressure release naturally for 10 minutes, then turn the knob to the Venting position to release any additional steam. Remove lid. Place the wings in a large bowl and pour half of the sauce over the wings. Using a large spoon, toss the wings until all are covered with sauce. Remove wings from oven when crisp as you'd like. Place wings back in the bowl, pour remaining sauce over the wings, toss to coat. Serve immediately with blue cheese dip, ranch dip, or as is. Accompany with carrot sticks, celery sticks, red pepper slices, etc. if desired. For Buffalo style flavor: Use 1/2 cup hot sauce, 1/4 cup melted butter (1/2 stick), and 1/4 cup BBQ sauce. The BBQ sauce in this mixture is optional but it adds a nice tang that isn't too hot. Omit the BBQ sauce and increase hot sauce to 3/4 cup if you want fully classic Buffalo wing flavor and more heat. For BBQ style flavor: Use either 1 cup BBQ sauce, or for a little more kick, mix 3/4 cup BBQ sauce with 1/4 cup hot sauce. Your Instant Pot manual suggests 1 cup of liquid be added to reach pressure but several for this recipe, that amount can make the wings near the bottom of the pot a little "soggy". 1/2 cup has yielded perfect wings many times over so make this adjustment with confidence. You may still use 1 cup if you feel the need. I’m not sure, but I think I saw a small error in the details at the top of your recipe. 10 servings of 3 wings each. 3 servings of 10 wings each? It was a really cool experience but I think I might have done something wrong! My wings weren’t wings. All the meat was falling off the bone pretty easy. I mean by even grabbing them with the tongs was a failure. I did used a little bit extra water from the 1/2 cup you suggested. Do you think it was the extra water? Or maybe I trimmed too much fat, making them just barely able to keep the meat in place? I want to try this recipe again, I LOOVE wings! Oh my Goodness! These wings turned out GREAT…hit of our Superbowl party! Thank you so much!!! Hey!! When you say you season and cook them before you put them in the instant pot. What does that mean?!? Trying to duplicate all the amazingness In reading! Hi Jennifer, I make sure get the seasoning to cover all wings before putting in the pot. So, in a bowl that has your wings, sprinkle the seasoning on and too the wings to coat all over. Repeating with more seasoning as desired. Then put the water in the Instant Pot, the trivet, and last the wings. Hope this helps. Thanks for making the recipe! Making these tonight as my first instant pot recipe!! Question about the water that goes into the instant pot-if I half the recipe to just 2 lbs of wings does the same amount of water go in the pressure cooker around the wings? Looking forward to making these for my family after all the amazing comments I have seen! Update: These were incredible!! And SO EASY in the instant pot! My family gobbled them up and my husband was so impressed that they were so much leaner bc of all the trimming of skin and fat, but so so good! He is definitely a wing snob and could not stop talking about them. I will absolutely be making these again. Trying your mushroom risotto this evening and so excited for that one! 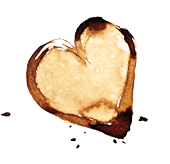 Thanks for sharing these wonderful recipes! Jessica, this was so, so nice! I just read your comment aloud to my husband and we both loved it. I’m excited for you to try the mushroom risotto tonight! If you’re really digging on Instant Pot recipes, then if I may say so myself, my Chile Verde and Polenta are must-try recipes as well. Thanks for making my Sunday. I’m working on a couple new Instant Pot recipes coming up soon on the blog. 🙂 p.s. Ever since I started trimming most of the skin and fat off my wings, I really can’t eat them any other way. It means a lot that your “wing snob” husband loved them! The amount of liquid in a pressure cooker should be at least 1 cup (8 oz) in order to provide enough steam to build up pressure. Read the instructions on your pot to verify this, but my Crock-Pot Express says “In order for your Express Crock to build up enough pressure to cook your meal, there needs to be enough liquid in the pot to boil and generate steam. One cup of liquid is usually enough…” Maybe it worked with 1/2 cup? Got my Express for Christmas and love it!!! I made a Rotisserie style chicken in there last week and it was amazing! Then I took the bones, added water and made bone broth to use in soup. So easy and one pot for everything! Getting ready to make your Chicken Wings ~ thanks for providing great recipes. GypsyB, I promise the recipe as written will be fine. I’ve made these wings so many times as shown and they turn out perfect. Thanks for your comment, I hope you love the wings! Received my instant pot last night and made these wings immediately. Not only was it my first time to use an instant pot, but it was my first time to make wings ever. Therefore, I can’t attest to how much easier it is than making wings normally, but I can say it was VERY easy and I will definitely be doing it again. Jeremy, add all of the wings indicated in the recipe at once. They can be stacked and cooking time is based on the whole batch. I broil my chicken wings for about 10 minutes per side and they are perfectly done after than. Why do I need to pressure cook them? Sounds like using an IP for the sake of using it. Made these tonight for a quick dinner. They were excellent. This is one recipe I will make again and again. It was so easy and much better than deep fried. Good process, wings turn out great! Only part I take issue with is preheating the broiler!? for the 10-20 minutes the insta-pot is working. Maybe on a wood fired stove. Modern electrics do not require preheating, and don’t work with the door open. I finished mine in the air-fryer! How long did you put it in the air fryer for and what was your temp? Hi Helen, I did not make these in an air fryer. To broil you leave the oven door cracked. Your trying to brown/crisp then not cook them as they are already cooked. You don’t have to preheat to broil. Depending on how many you make the air fryer takes way too long because you have to do them in batches and I think they turn out the same, so I choose my oven which is bigger than the air fryer. Planning on making these tonight! With our weather (100F+) it would be nice to be able to “broil” on the BBQ to avoid heating up the kitchen. Do you think that would work? Hi John, Absolutely! Probably taste amazing. Do they need to be dethawed?? Brianne, I’ve never used frozen wings but know others who’ve commented on my recipe have. They should be fine from frozen, just add an extra minute to cooking/pressure time. Yes, with last minute guestsI was wondering why you didnt use frozen? how would we thaw them quickly and trim them? I say dump the whole bag in frozen. Hello, I have a questions. I am making this for my son’s graduation on Tuesday. Should I make this ahead of time on Monday and just reheat or should I let it marinate and cook on Tuesday. Also when it calls for broiling can we just use a regular oven? What temp and for how long. Thanks! Hi Sarita, I would just make them on Tuesday. If you make them on Monday, they will be good on Tuesday but the day you make them they’re fantastic. Does your oven have a “broil” function? If not, you can bake them on 450F degrees until crispy but this will take longer. I just broil them in my regular oven. I hope this helps. Let me know if you have further questions and congratulations on your son’s graduation! This was the first thing I made in my new instant pot and they came out great! Only made 2 lbs worth but used all the spices and they were delicious. Thank you! Thank you, Deb! I’m honored that you chose this recipe for your first Instant Pot meal. Glad it worked out for you. If you like Mushroom Risotto and/or Chile Verde, I also have Instant Pot recipes for both of them on my site and HIGHLY recommend both. Thanks again and I hope you visit me soon! Made these last night, only put half under the broiler, the other half I put a little sauce on and then into refrigerator to broil tonight. Got home, brushed on a little more sauce and put them in the broiler. Last night they were good, but tonight, they had a fantastic flavor!!! Great recipe, definitely making these often! Anita, that is awesome! Love this idea and I’m glad you liked the recipe. Thanks for taking the time to comment. It means a lot. I noticed the ingredients called for butter. When is that used? Hi Britany, the butter is used in step number 13 if you’re making Buffalo Wing style sauce. Thanks for your question. I’ll go in and clarify the recipe to point to that place in the instructions for the butter. I have an 8 quart instant pot and I thought minimum liquid requirement is 1 1/2 cups. Will that change outcome? Hi Mary, I think if you are sure to use the trivet (wire basket) and place the wings on that, you should be good with the 1 1/2 cups of water. Your Instant Pot link is no good. I wonder if Amazon took it down due to the recall. Oh thank you, Kellie! I’ll check it and edit. I understand some of the Gem model Instant Pots were recalled. My model was not. I’m pretty sure you can find a link to check your model on Google. I’m about to make this for the third time since you posted it. We LOVE it. I’m making it again and changing out the butter for coconut butter because Miranda is here tonight and I can’t wait for her little dairy-free self to taste it! Thank you for posting! I made these for Super Bowl last night as well and we loved them too – thank you! I used 1/2 the sauce before broiling and then tossed them int he other 1/2 of the sauce after, per the instructions. We like a lot of sauce on them, so this worked perfectly! Two questions: 1) Any tips for skin removal? I found that part challenging, but it was worth it 2) I found that with many of my wings – mostly the non-drumstick 1/2 – the meat was literally falling off the bone. Usually, this is a good thing, but in the case of wings, it would be preferable for them to stay on the bone. I am wondering if this may have happened because I removed TOO much skin? Thanks! Hi Alyssa, I use kitchen shears to remove the skin and I just cut off as much of the loose skin as I can. It does take a bit of time but yes, I agree it’s worth it. If the non-drumette part was falling apart too much, maybe leave a little more skin on next time or try cooking the wings in the Instant Pot maybe one minute less. I hope this helps but basically I guess I’m just agreeing with what you think you could do different next time. Thanks for stopping by and I’m glad you liked the recipe! Made this tonight for Super Bowl. So easy. . My husband raved about them. I put all the sauce on them before broiling because it did not seem like enough. I think it longer to crisp up because of this. I will try half next time. Thanks Mary! 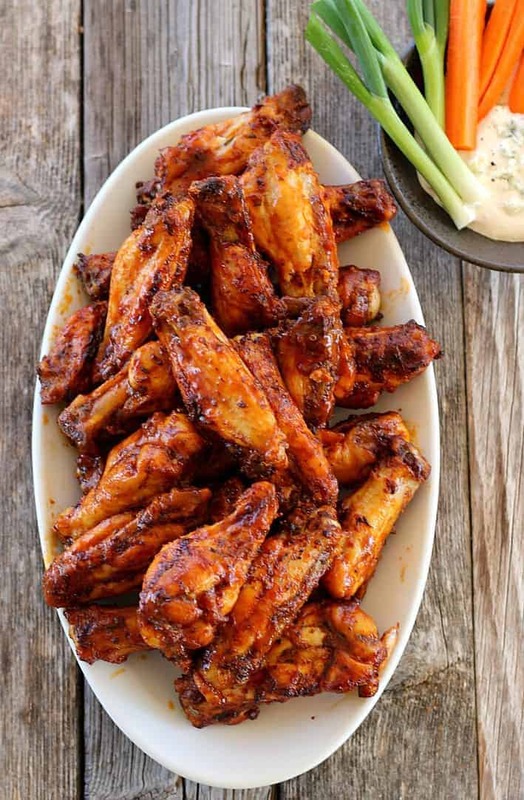 I’m glad you liked the wings and I too love how easy this recipe is because we also had these for the Super Bowl- along with my Cauliflower Buffalo Bites for the non-meat eaters and they both finished at the same time. Thanks for taking the time to comment! Greg, Wow, that’s saying a lot because it was a great game! I appreciate you taking the time to post this great comment and I’m glad the recipe was a hit for everyone. Made it today. I had drum sticks (frozen) and used 1/4 water (because frozen) and turned out great and then broiling, etc SWeet Baby Original Honey barbeque sauce. Elisha. TY for the post. Hi Peachs, Thanks for the tip. Good idea to decrease water due to the water already in frozen pieces. I appreciate you taking the time to comment. Did you change the cook time due to them being frozen? Stephanie, I did not use frozen wings. Some people were finding their wings fell apart too much with the original cooking time so I modified the recipe with much better results. Some readers have asked questions about how to cook if using frozen wings, but I’ve made them with fresh wings every time, myself. My instant pot did not come with a trivet. Will this recipe work without the trivet? Hi Daniel, I had another reader ask about this and though I’ve never made the recipe without the trivet, the wings should do just fine. They might be just a little more wet when you take them out before placing them in the oven. If so, just broil them a little longer. Oh. My. Goodness!! I’m typing while I still have wing sauce under my fingernails. I will never buy restaurant wings again. Unless I’m tired…and hungry. Ok. I will never buy restaurant wings again that are as good as I can make them with this recipe. I used drumettes and took the time to scissor away the heavy skin, leaving only the really thin skin in places, but mostly they were skin-naked. That’s my pet peeve…you get wings that are nicely coated with sauce, nicely crispy, but when you pull away the thick, glucky skin (bleh! ), you’re just eating chicken; the flavor is discarded with the skin. Debbie! You just made my weekend. May I say I could not agree with you more about the chicken skin. It’s worth the extra time to trim as much off the wings as possible. Yay that your husband liked them and that bread with smeared garlic sounds amazing! Thanks so much for taking the time to comment, before even cleaning the wing sauce out from under your fingernails! 😀 This really means a lot. Cooked this tonight with drumsticks and thighs. Broiled both sides for 5 minutes in the oven. Came out perfect! Thank you! Hi Sheri, That is excellent! Glad to hear it and I appreciate you stopping by with your nice comment. Have a great week and thanks again! We tested this recipe tonight for dinner and I didn’t make enough, they were gone so fast. The wings came out of the pot cooked just right but they definitely need to go under the broiler for several minutes to crisp and seal in the sauce. We did hot sauce, butter, and a little BBQ sauce. Adding the sauce after cooking worked well and tossing them in a bowl with the sauce is great so the wings get completely covered. Tasty! I want to make this recipe using chicken drumsticks. Since they are larger do I need to increase the cooking time? Hi Amy Jo, I have never made this recipe with chicken legs but I think you should increase the cooking time. In doing a little research, if you are using anywhere between 4 and 10 chicken legs I recommend using the Poultry function on your Instant Pot and setting the time for 12 minutes and let the pressure release naturally for 5 minutes when cooking is complete. Then switch to Venting and let steam completely release. The lid should twist off easily now. Then proceed with the legs under the broiler as indicated. I’m honored that this is the recipe you’re choosing for your first Instant Pot meal. Let me know how the timing I’ve recommended works out for you. Thank you for the recommendation. We just had them for dinner. They were amazing. Excellent, I’m so glad Amy Jo! Thanks for letting me know. Last night I made tour revised recipe for these wings and they were perfection! The cook time is just right, make sure you use the natural release for the 10 minutes after. That was key. I love the Cajun rub so tossed that on our wings. We made them straight Buffalo style but did add a little BBQ sauce that that added a nice zing. Thanks for a great recipe! Hi Delilah, thanks for your comments here. I’m glad you like the cajun rub, I always keep some on hand. I’d love it if you give my new revised recipe for these wings a try in your Instant Pot. I retested and revamped the instructions and I think you’ll be very pleased with it. I just want to make sure I’m understanding the recipe correctly. 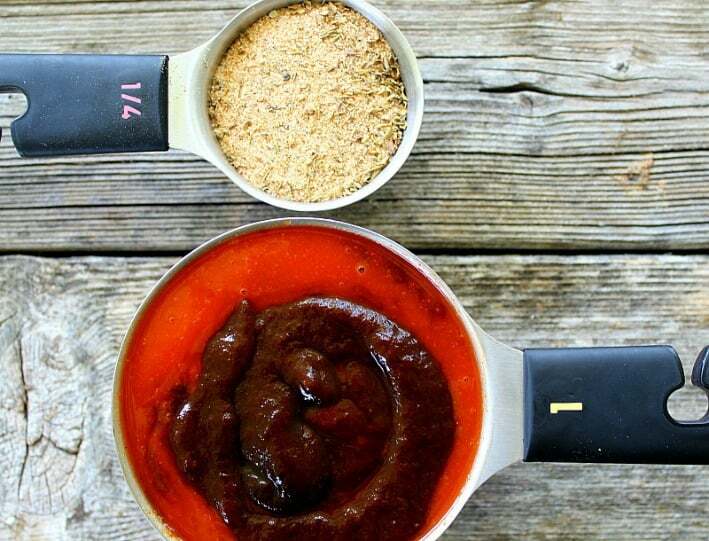 Do you only put 1/2-3/4 cup of water and 1/4 cup of sauce in the instant pot? Or am I supposed to put 1 cup of sauce in the instant pot with the water? Hi Traci, I would put in 1/2 cup water and then 1/4 cup of the sauce. Then after the wings cook in the Instant Pot, use the remaining 3/4 cup of sauce to baste the wings before placing under the broiler. You probably won’t use all the remaining sauce. I made them again just the other night and 1/2 cup water is plenty. Hi Randy, due to the popularity of this recipe I bought 3 batches of wings today to try some other varieties, etc. I’m sure teriyaki sauce would be fabulous especially with the cajun rub. A good mix there, but I’ll also try it in the next few days and report back. Thanks for the idea! Making these tonight! We want some BBQ, some Buffalo style… could I do the rub on the wings, 3/4c water below the metal rack, and then do the sauces afterwards? Or is that BBQ sauce liquid required for them to cook correctly in the IP? Thanks!!!! How did these turn out with just the water and no sauce? I’m going to be doing this tonight and might do something similar. Tim, I have been experimenting this week with different methods and flavors for this recipe. The other night I made the wings with only 1/2 cup water, a generous 2 tablespoons of seasoning and no sauce. They were delicious. My recommendation is to make sure your seasoning is a good one. In the Instant Pot Wing recipe I have a link to my cajun rub mix and I highly recommend using something fresh like that. You probably have most or all of the ingredients in your kitchen right now. So, make the wings without sauce with confidence… very little water needed too. I hope this helps you. Lokking for a wing recipe for the Insta pot an dran across yours. Lokks good and will try tomorrow. Was reading the replys about moisture and one thing I noticed was in your list of ingredients, you list 3/4 cup water. In your instructions, you said add one cup water. 1/4 cup water can make a big difference in moisture. Could be the problem. Hi David, I had actually gone in and changed the water amount in my ingredient list after people were complaining about the moisture level and forgot to change it in the instructions as well. Thanks for the catch. Let me know what you think. Happy New Year. Can this be done with frozen wings or do they have to be defrosted? 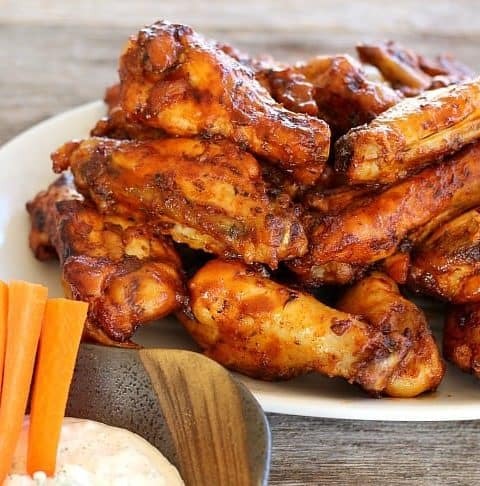 Hi Jasmine, I’ve never done it with frozen wings but I have seen other Instant Pot recipes using frozen wings. I would add an extra 3 minutes to the cooking time. Thanks for stopping by. Do I need to do anything differently for whole chicken wings (drummie+wing)? P.S. You and your site are awesome. Thanks so much, Taylor! You can cook whole wings the the same method as jointed wings. Sorry for late reply, I had surgery on Wednesday and wasn’t able to reply until tonight. I love the idea of putting them in the oven to crisp up. Soggy wings are no good! I agree, Nicole! We’ve left them in pretty long a few times to get them REALLY crispy and they were really great. Sally, could you please give me your secret for reheating these little gems? I’m having a party on Sunday and hoping to do wings, but the party is in the afternoon and I was thinking that it might be smart to make ahead on Saturday and just reheat. Hi would it be possible to do this with a dry rub buffalo instead of any bbq or hot sauce? Would You have to change how much water you add in? Hi Austin, I think you could do the dry rub instead (yum!). I would actually use barely any water with the dry rub especially since the slow cooker is going to add a little moisture as it cooks just by the nature of its cooking method. Let me know how they turn out. Good idea! Could I double the recipe? If so do I need to increase cooking time? Also, can I use frozen wings? How much do I increase the cooking time? Hi Rosie, you can double the recipe and you can use frozen wings. Here are some guidelines for these changes: It’s okay to double the recipe as long as you don’t fill the pressure cooker more than 2/3 full. Cooking time will be the same if using thawed wings, even if the recipe is double. This is because if you had more wings, the actual countdown time can be the same but it will take longer for the Instant Pot to come up to pressure and start that timer. While the cooker is coming up to pressure, the wings are cooking during that time too, if that makes sense. If using frozen wings, add 4 more minutes to the cooking time.